Blockchain: hype or hot air? Blockchain is not coming for our jobs, rather it’s adding yet another layer of complexity to our jobs. I refer to myself as a futurist, because I make it my business to predict the future of the accounting profession. This involves looking at microeconomic trends within the profession; and macroeconomic in the broader economy. Part of this research involves looking at the past. While past performance doesn’t predict future performance, it can certainly give us some clues. This brings me to the blockchain. The hype is real on blockchain. It’s all over the news and our social media feeds. Some people have referred to the recent surge in the bitcoin prices as reminiscent of the dotcom bubble. They could be right, we’ve been here before. It’s the wild wild west over here. 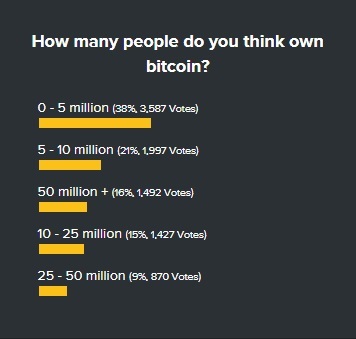 Yet by most accounts best estimates suggest that less than five million people actually own bitcoin. Outside of the speculation, consider the underlying technology. Try to imagine a time when only five million people had the internet, it would have been nice to buy some Google stock. Or where only five million people had a smartphone, would have been nice to own some Apple stock. That’s the position I’ve taken. That being said, I could be wrong. There’s a lot of barriers that the blockchain needs to overcome before it can go mainstream. In my opinion the government represents one of the the biggest barriers to the proliferation of this technology. Though given the risks associated with the technology and its association with crime, I understand the government’s interest in regulating the space. With regulation, comes compliance. Recently, the IRS has employed tools like Chainalysis to track down tax evaders hiding in the cryptosphere. No doubt the ATO will follow suit. Similarly the SEC and other securities regulators are increasing their focus on the raft of Initial Coin Offerings (ICO) that have cropped up in past months. Many of these mimic Initial Public Offerings without the cost, and regulator barriers. Once again, we can expect ASIC to follow the lead. The second big challenge is simply adoption. Currently, blockchain does not address any real problems for the average consumer. Nor did the internet at the time. 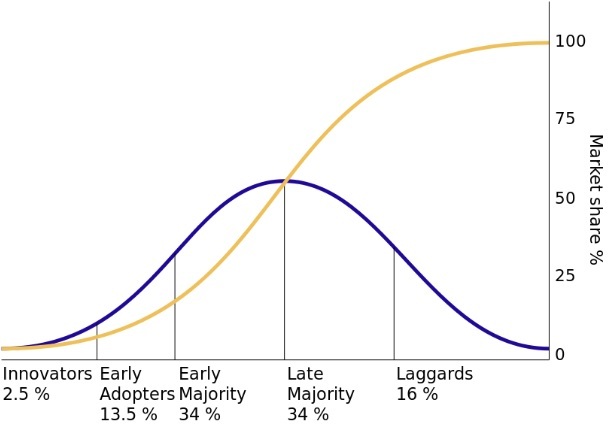 I am confident that adoption will follow Roger’s diffusion of innovation and go through a natural adoption cycle. If this technology fails to get critical mass, it will disappear quietly into the background, like many other failed technologies. Regardless, the important thing for accountants is to cut through the noise, and understand the underlying technology and the tax implications for investors, traders and businesses. 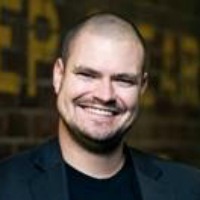 Chris Hooper is an accounting futurist, and current CEO of Tech Accounting firm Accodex. He is also a director of the Future Accountants Network, a member organization on a mission to educate tomorrow's accountants. He is a regular on the speakers circle and also consults to accounting practices to help them modernize their firms. Accodex Partners was awarded Innovator of the Year at the 2015 Australian Accounting Awards.